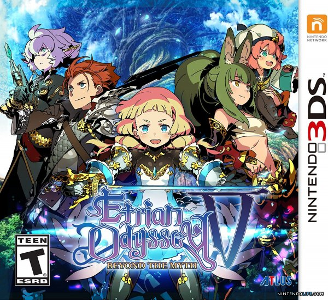 Etrian Odyssey V: Beyond the Myth is a dungeon crawling, initiative-turn-based RPG where you map out the dungeons yourself as you progress. It was developed and published by Atlus and localized by their USA division later. Etrian Odyssey V: Beyond the Myth works well in Citra. During cutscenes or battles with monsters with particularly heavy effects there can be noticeable slowdown. During regular mapping, adventuring, and most combat, the game runs smoothly.